We raised $415 for Liberty House in Manchester, NH. Every dollar raised for Liberty house translates to $20 at the food bank, which means our $415 turns into $8,300 at the food bank! We also collected lots of blankets, non-perishable food items, and daily essentials for our vets. 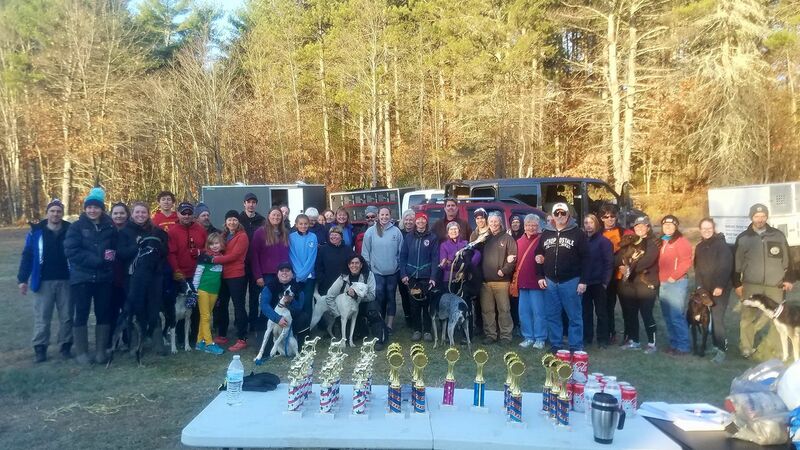 We’d like to thank our competitors and volunteers for making our the Ethan Howard Memorial Rig Race a success! Thank you to Manchester Water Works and Forestor John O’Neill for helping us get this race on—if it weren’t for them we wouldn’t have a place to race. Thank you also to Tom DiMaggio for setting up a great trail, as always, and Sandy DiMaggio for letting us use her car as a time in car. To Dawn Roberts and Nova Clifford helped me and Tom set up trail on a very very windy and cold Friday. I also want to than Anita Wischinski, Rainer Wischinski, Ron Stortz, Nancy Stortz, and Heidi Stortz for great job with feeding everyone even when the grills froze! Ron’s chili and Heidi and Nancy’s bread and cookies and Anita’s chocolate marzipan cake were to die for. I’d also like to thank Ingo for doing a great job timing (not an easy job), and Gretchen Karlson for being an awesome chief judge and Kelly McGrath for making sure all our bills are paid and Laura Hayes for registering everyone. Lastly I would like to thank Danae Bryar and crew for helping out with supplies along with Jacqueline McCreedy making sure everything got set up every morning and broken down every night, and Asa for jumping in. My apologies if I missed anyone! Finally, I want to take the time to welcome our new vice president Mike Green and our second vice president Rachel Colbath—thank you for for stepping into a tough job. I also want to welcome Gretchen Karlson and Doug Butler to the board of directors.